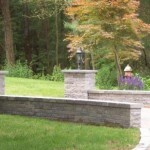 Edging, Pillars, Columns, Driveway Aprons, Stairs, Curb Appeal MADecorative Landscapes Inc. 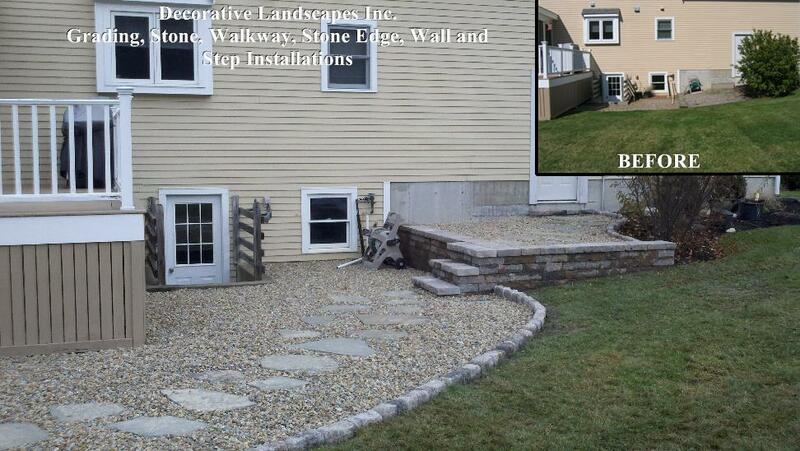 There are many design options available to take an ordinary stonework project and take it up a notch. You can turn an ordinary patio or driveway into an outstanding piece of artwork just by adding simple accessory items such as pillars to define an area or by adding an apron to a driveway to make the driveway pop and add curb appeal. 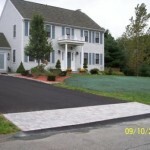 Bring the feel of Cape Cod to your home by adding a Cobblestone Apron to the end of your driveway and a Cobblestone edge to your landscape beds. Installing a decorative edging can add another dimension to your patio, planting area or walkway. A decorative landscape edge will really add a finishing touch and add extra curb appeal to your project. It can also be a functional working part of your landscape by holding back loam or mulch for an adjacent landscape bed. These “accessory” stonework items can be installed in many different elements such as decorative concrete or natural stone. There is also a vast array of colors that can be selected. Take some serious consideration into adding one of these elements to add that extra appeal that can turn your project from ordinary to EXTRAORDINARY!